Deion: eatable noble mould bark, white dough with little punching; he becomes creamier with increasing maturity, aromatic taste with light hircine marks. 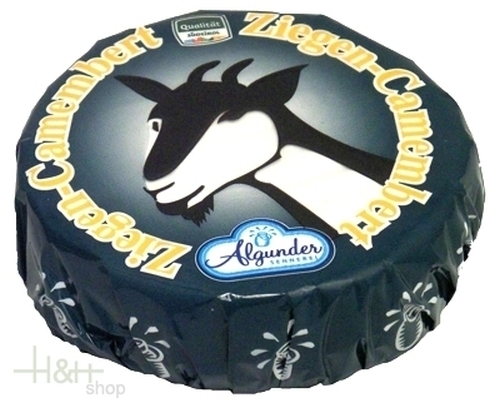 The Goat Camembert is OGM-free and carries the quality sign for South Tirol. Buy now this product together with Camembert Edelweiß Cheese Dairy Lagunda approx. 250 gr. ready for shipment: in ca. 5 days Camembert Edelweiß Cheese Dairy Lagunda approx. 250 gr. 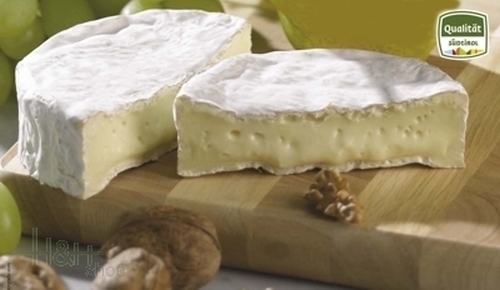 Buy now this product together with Venosta Valley Alpeggio matured cheese approx. 500 gr. ready for shipment: in ca. 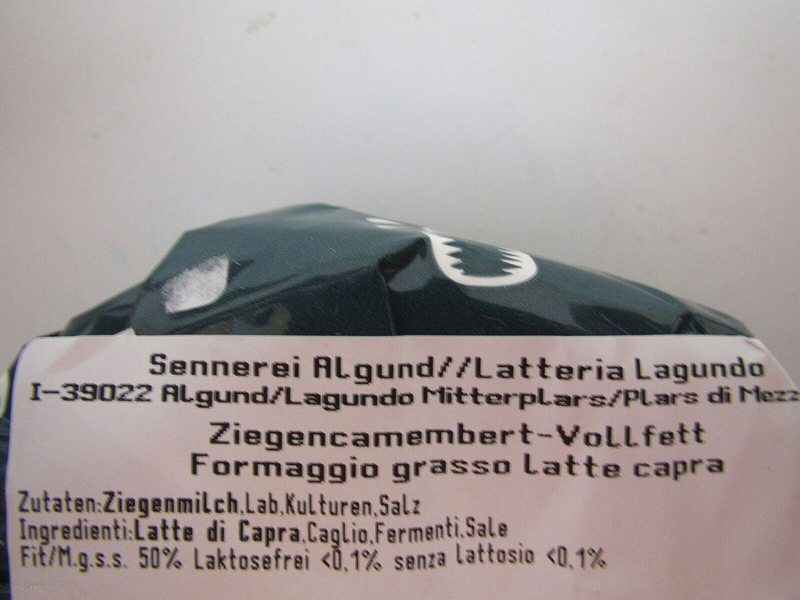 5 days Venosta Valley Alpeggio matured cheese approx. 500 gr. Ham bacon butchery Hell approx. 4 kg., finest, fragrantly, spicy smoking bacon speck. Flowery (Fiorile) Cheese DEGUST approx. 250 gr. 10,95 EUR / 43,80 €/kg. Florie Cheese DEGUST approx. 250 gr. 12,45 EUR / 4,98 €/100 gr. Lakrizi Cheese DEGUST app. 150 gr. 8,60 EUR / 5,73 €/100 gr. Esculentus Cheese DEGUST approx. 320 gr. 19,60 EUR / 61,25 €/kg.